New year and new global challenges for EURAO members. Among them, a lot of radio activities to share world wide on the air: Europe Day (9 May), VRA Activity Day (19 October), EANET Sprint Contest (10 November), etc. Stay tuned to our weekly email flash news to find out more. Also our presence at HAM RADIO fair (Friedrichshafen, 28-30 June), where we are going to hold the second EURAO Meeting. 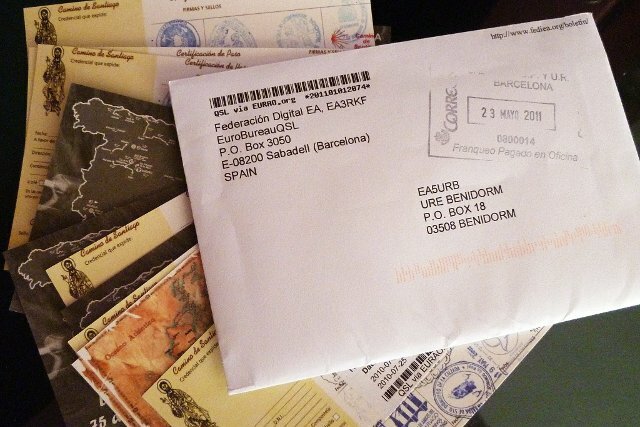 EuroBureauQSL, the EURAO's QSL Bureaus Network, added lately new entry points in the following countries: the Netherlands, Germany, Italy and Russia. Who will be the next? Have a look to the operating conditions proposed recently and decide yourself. Since last year, when opening the chance for individual members, hams all over the world trust EURAO concept and joined us in the making of this global community, despite language differences and physical distances. The picture below shows where there are member associa­tions (red) and indi­vi­dual members (light blue) until now. Thanks to all for your support! Dayton Hamvention 2013 welcomes EURAO members !!! 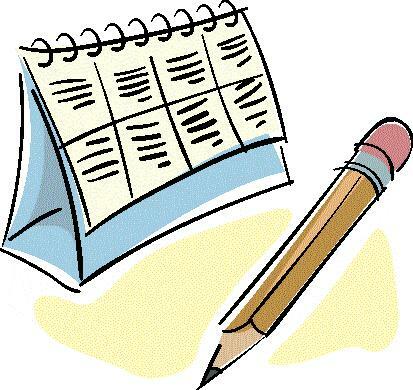 On May 17-19 you have an appointment in USA. The largest world exhibition of amateur radio waits for you. Members of the European Radio Amateurs' Organization who attend the event may enjoy, as special guests, the international reception at a very exclusive place scheduled for the Thursday evening just before Hamvention opens. Bring your membership card with you. 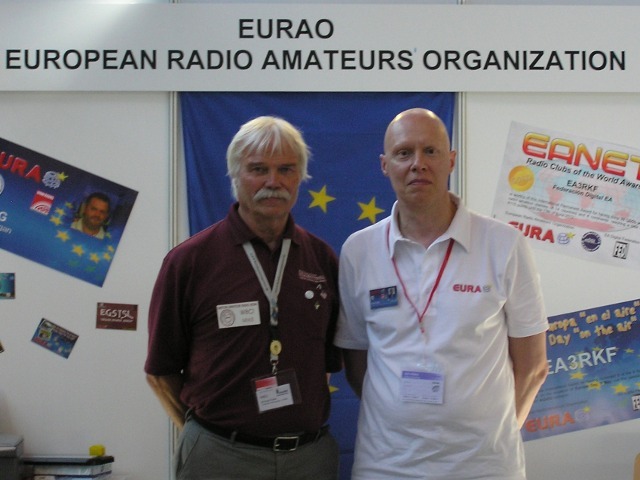 Know more about Dayton Hamvention 2013 in this article of W8CI, former General Chairman of Hamvention, in this picture with EA3CIW, Secretary-General of EURAO. 28-30 June, once again, EURAO will be present at this great amateur radio fair, attending all visitors, talking with members and friends, listening proposals, imagining new global projects, checking your QSLs for the new Awards, etc. Of course we haven't all answers, but we'll listen all your questions and try to do our best to serve members and Amateur Radio. IW3IBG, Secretary of CISAR, in this video of HAM RADIO 2011.